I had a baby shower to go to yesterday and of course like normal “Beth fashion” I waited until the last minute to make a quilt. 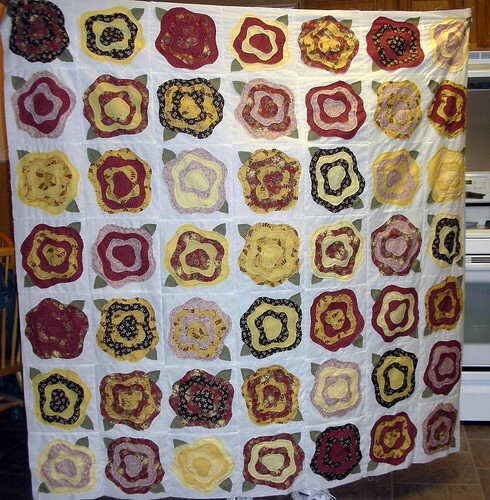 When I was looking at my fabrics to decide on which ones to use, I spotted the center of the quilt which is 4 blocks that I had made well over 2 years ago. Since I was so short on time I decided I would go with those 4 blocks that were already finished and use that in the quilt. The Heather Ross Fish in Bags is one of my all time favorite collections right next to the Flea Market Fancy by Denyse Schmidt. 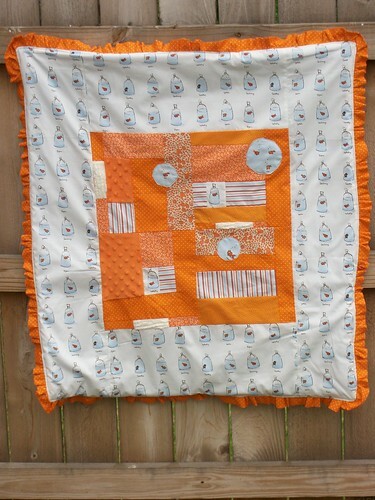 The mother didn’t know the gender of the baby and she loved the quilt! It will be perfect for either. Coincidentally their favorite college team color is orange. My mom and I don’t get to spend much time together lately. She is either working or spending time with my Dad building their dream home. This last Saturday my Dad was working all day long so me and my mom decided we would have a day of sewing. Our quilt of choice this day was the French Roses. So we went to Hobby Lobby to get some material then came home and got busy! I decided to do Vintage/Gingham and she decided on dark reds and warm yellows. 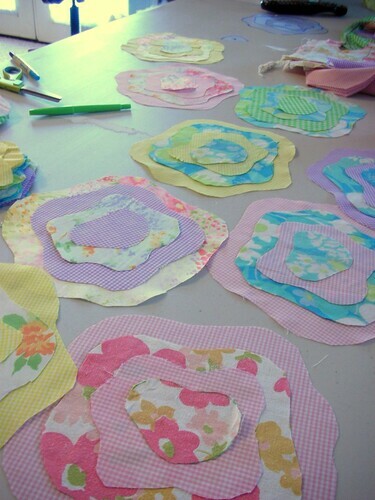 We started cutting out all our fabrics and having fun laying them out to see what they will look like. It is amazing how it has such a different feel just by changing the colors of the fabrics. 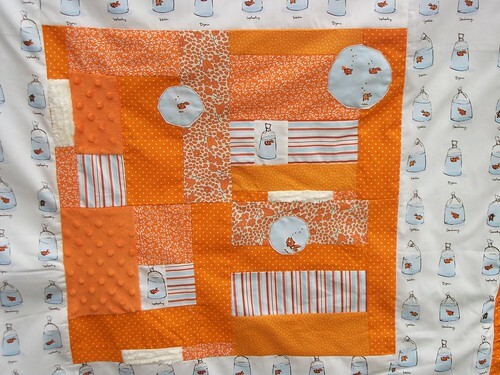 Since she is such and overachiever and I’m a complete slacker, here is her quilt top almost complete. I haven’t even started sewing my flowers together. 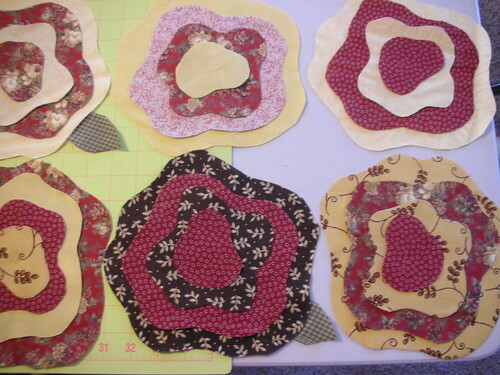 She is going to add a border around the edge then she will be ready to quilt it and sew sew the binding on.